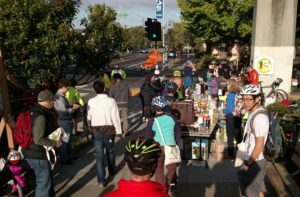 Albany Strollers and Rollers (AS&R) is excited to learn the City of Albany is applying for a grant to plan a Complete Street makeover for the eastern portion of Solano Avenue, and eagerly supports the application. The current design of this street segment is currently quite antiquated. This is particularly striking in comparison with the central portion of Solano Avenue, which was reconstructed with wide sidewalks and bulbouts with directional curb ramps in the late 1990s. The eastern segment of Solano has numerous problems for sidewalk users. For instance, there is one location on the south side of the street between Santa Fe and Curtis Avenues where the sidewalk is only about 14 inches wide. This is quite amazing given that Solano is one of the focal points for travel by sidewalk in Albany, but it is a problem that is not easily solved due to the sidewalk configuration. In addition, many of the bulbouts along eastern Solano only have curb ramps for crossings of Solano. These require ramp users seeking to travel along Solano to enter into Solano, which exposes them to greater risk and creates considerable motorist confusion. For people cycling along Solano, particularly in the downhill direction, the angled, pull-in motor vehicle parking on the street is a hazard. The angle is such that motorists typically cannot see oncoming traffic before backing out some distance. People with moderate to little cycling experience habitually ride all the way to the right. This exposes them to colliding with motorists exiting these parking spaces. For this reason, Albany’s Active Transportation Plan calls for converting these spaces to back-in angle parking. A Complete Street design for this section of Solano could address these sidewalk and cycling concerns and more. This would have the co-benefit of improving the economic vitality of this segment of Solano. 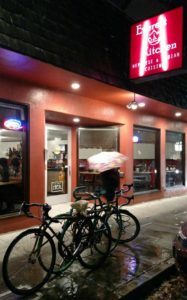 For instance, numerous studies have found people that bike spend more month in local businesses than do people who drive. In addition, the proposed study might develop some novel solutions that allow reducing on-street parking in favor of better cycling, sidewalk and transit conditions. The study would occur at a time of particularly intense change regarding motorized transportation. In the present, there are a number of new parking management technologies that can be considered for application. This could build from a parking study of Albany that is nearing completion. In the future, but relatively early in the multi-decade life span of an upgrade project that would result from the proposed planning, autonomous vehicle technology may radically change the need for and location of parking. The current leading edge of this technology in practice is evidenced by Tesla making an autopilot upgrade for its vehicles available in the last month. As a natural follow on, it may be that vehicles will be able to park and retrieve themselves at some remove from where the occupants need to get out, as is the case for Tesla vehicles now operating on private property. It may be that autonomous vehicles don’t park at all, but rather are a shared resource that proceeds from trip to trip, as suggested by the engagement of Uber in the research and development of such vehicles. The planning grant would provide an opportunity for Albany to explore this topic in accord with policy in its draft General Plan. 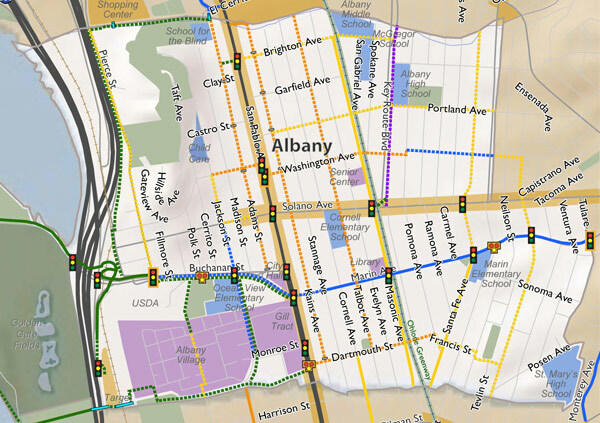 It will be important for Albany to plan the eastern segment of Solano Avenue for the next fifty years, rather than for the last fifty years at the risk of the project being obsolete or nearly so on the day it is completed five to seven years from now. It may be that active transportation is more a part of that future than is parking of motorized vehicles. I grew up in Davis and have a longing for bike lanes in Albany, especially now that I have kids. I would like to support AS&R with seeing the proposed transportation plan implemented. And soon! 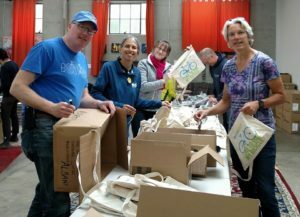 I met Amy at the Albany Farmer’s market last week and was inspired to join the group. 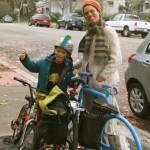 We have two young children who like to bike around town, which we do with some hesitation because I find the experience stressful because it requires so much vigilance on my part to ensure it is safe. 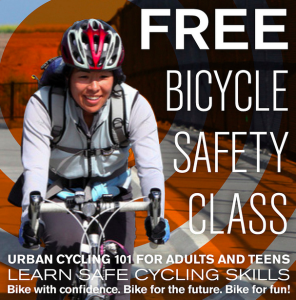 I really like the Bike-About-Town concept and hope to join you in July as we will be out of town this weekend. Thanks for joining, Serene. 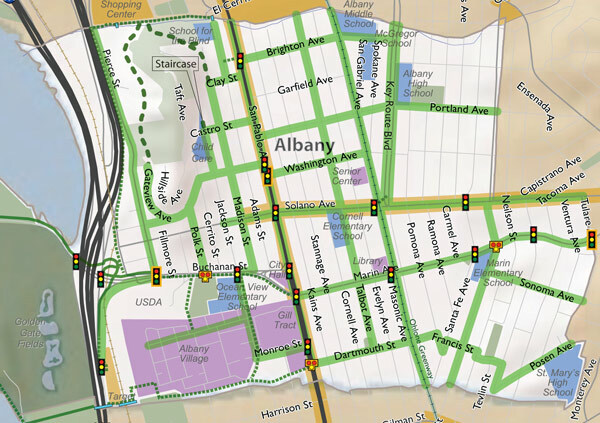 Having someone who grew up in Davis and can help Albany get more bike-friendly is terrific. We look forward to your input. I’ll be out of town for the July BAT but introduce yourself (and your family) around. Did you subscribe to the Announce or Discussion List? We also have a Facebook page.